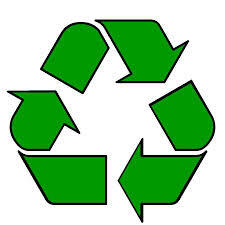 Reuse, Recycle, Refill... Not Landfill. What makes Soap Exchange products unique? We believe that using refillable containers is common sense on a planet being flooded with post consumer waste. Our goal is to be part of the solution one refill at a time by reusing, refilling and recycling our containers instead of adding waste to ever-growing landfill sites. By bringing your container in, you save on future refills and are investing in a cleaner planet for the next generation. Refilling containers is the first step you can take in addressing the current waste problem facing the planet. Still, many of the substances used in leading cleaning products never break down, choking our planet and its ecosystems. The Soap Exchange strives to find natural, biodegradable substances where ever possible to help limit your global footprint. Soap Exchange products are made super-concentrated so that you get more out of using less. Other products contain "fillers" such as bits of cardboard, animal fats, and plastics that take up space. When you go to The Soap Exchange you get quality product without all the filler. Not only do you save by using less, you protect yourself and your family from exposure to harmful fillers which can cause rashes and allergic reactions. The Soap Exchange products are the best choice for any health conscious individuals and especially for young or expecting families. The manufacturer (Enviroway Detergent Manufacturing) and The Soap Exchange Franchisor is using cutting edge science, and the Research & Development team is hard at work coming up with better products made with natural ingredients.